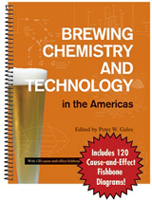 The book simultaneously introduces the basics—such as the biochemistry and microbiology of brewing processes—and also deals with the necessities associated with a brewery, which are steadily increasing due to legislation, energy priorities, environmental issues, and the pressures to reduce costs. With a foreword written by Professor Ludwig Narziss—one of the world’s most notable brewing scientists—the Handbook of Brewing, Third Edition, as it has for two previous editions, provides the essential information for those who are involved or interested in the brewing industry. 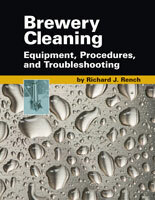 Written by an international team of experts recognized for their contributions to brewing science and technology, it also explains how massive improvements in computer power and automation have modernized the brewhouse, while developments in biotechnology have steadily improved brewing efficiency, beer quality, and shelf life. Making spirits in a brewery (reflecting the trend for a craft brewery and a craft distillery to be located on the same site).